"Roads are in good shape, they are doing more work out there today. 1st Ave is closed and Main runs straight out to "Hot Spot" now. Wheel houses please be off the lake and bay by March 15th. Wheel houses can still fish after the 15th but you must take them back with you after your stay. Don't leave them on the bay or lake after the 15th things will change fast this year when temps rise. Remember your new license before fishing Friday and also limits go to summer regulations on Friday March 1st. Limit of 6 fish can be all sauger or up to 4 walleyes, slot is the same and 2 sauger for full limit. "Our road is in pretty good shape no flooding on it. Business continues as usual. "Slim's Resort doesn't plow a road, we transport our guests to and from the day houses. We use a trail that we run bombers and track vehicles on. This has been groomed since the storm and we've had no problem getting people in and out. Admittedly, there’s no way to predict whether or not March will be any better, but I will happily say goodbye to February, just to find out. If March temperatures are below average too, and that’s the current prediction, then lakes in the north central region may well be headed for an early ice out. Well think about it, ice came early in the Itasca Region. The ice was already 12 to 16 inches thick by the time we received our first heavy snowfall. Ever since then, the snow has kept piling up and the ice has been insulated. Formation of new ice has been slow to say the least and in some instances, ice thicknesses are way below average. On Wednesday, I talked to Pat O’Reilly at Highbanks Resort on Lake Winnie. “The ice under the snow is only about 26 inches, but the ice on the plowed roads is about 44 inches,” O’Reilly said. “With more and more water creeping across the surface, slush is showing up everywhere”, he added. If the lake is not making ice, then it is losing ice. So even while we’re looking at the cold, snowy surface, the underlying ice is slowly deteriorating. The longer it takes for snow on the surface to melt, the faster the ice will melt away and that’s why I’m predicting an earlier than average ice out for the Itasca Area. After talking to O’Reilly yesterday, then looking at the averages and checking out the weather outlook, I’ll say that the ice out date for Winnie will be Wednesday April 24th, 2019. I’ll add that other lakes in this region and only in this region will be ice free sooner than average too. The ice will go out later on lakes to the north, like Lake of the Woods and lakes to the south, like Lake Mille Lacs. That’s because snow didn’t stack up on lakes located outside of the north central region. So while I’m telling you that Winnie ice will melt early, the folks on Lake of the Woods are telling you to bring auger extensions. They have thicker ice up there than we do around here and the same is true for Lake Mille Lacs. With the inland lakes walleye season behind us, Lake of the Woods will be getting a lot of attention. Now that the rental operators are regaining control of their ice roads, I'll be able to gather some info about who's open and who's not. I will post updates periodically throughout the day today. "Lake trout fishing has slowed on area lakes. Anglers are reporting that they are marking good numbers of fish, but are struggling to get the fish to bite. Blade baits, bucktails, red and white tubes with or without Tube EEZ have been accounting for the majority of fish caught. 35-60 feet of water remains the best depth to fish for active fish. Stream trout fishing has heated up this last week with many anglers reporting that they are catching their limit of nice trout. Aggressive rainbows are being found 10-15 feet under the ice. Trout eggs, jigs tipped with waxies or rippin raps have been the best baits, this last week. 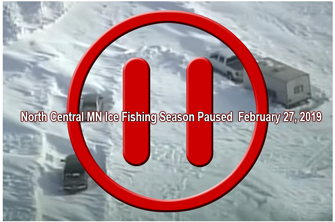 Jeff Sundin Fishing Report February 27, 2019 "Ice Fishing Season On Pause"
The ice fishing season may not be over, but until Mother Nature de-selects the pause button, angling in north central Minnesota is on hold. The big news over the past few days has been stories about rescue missions to retrieve stranded anglers and their gear on Lake of the Woods, Mille Lacs and others. By midday on Tuesday, all of the missing people were accounted for, that’s the good news. The bad news is that there are still a lot of fishing shelters on the ice and folks are scratching their heads about how to recover them. Similar reports came in from every resort on Winnie and by Tuesday afternoon, all but one had reported that their landings are closed. I updated the map of Lake Winnie accesses and will revise it again if and when any of the roads are re-opened. 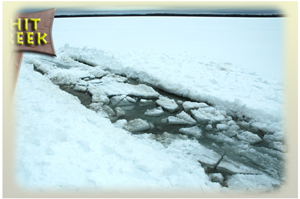 On Leech Lake, Trappers Landing closed their road too. “After the storms and all the slush we are closing the access for the season;” said Josh Bullivant. Bullivant was the only rental operator to respond to my request for an update, so the only safe assumption is that the others are closed too. But I will post an update if I learn more about Leech Lake today. Further north, my friend Nate Altendorf said; "You guys made the right call in not coming up to Lake of the Woods this week. The lake is a mess right now with snow drifts, slush and water on the roads. My Sno Bear stays on top of the snow really well, but when I park, water begins to form slush puddles around the machine. I'm getting out of here myself, before I run into bigger problems." Better news came from Matt Klug further south, in the St. Cloud area. “Let’s hope we don’t get any more snow, but for now our lakes are still accessible. As of now, we don’t have any slush. Travel by snowmobile or tracked ATV is best, but some lakes are still accessible by pickup truck. The panfish bite is still pretty decent and the catfish are still biting as well.” For information about fishing with Matt, contact MK Fishing Guide Service 320-260-5494. 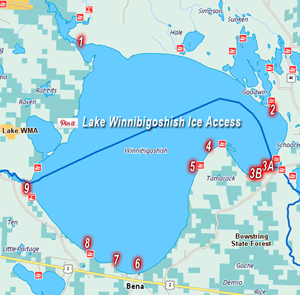 As of February 26, 2019, while answering a reader question about ice fishing locations on Lake Winnie, I promised an update about lake accesses and travel conditions. The accompanying map with numbered descriptions identifies the access points around the lake. After talking with several resort owners around the lake on 2-26-19, it's evident that access to Lake Winnie will be restricted to say the least. Many of the plowed roads are closed, some of the closures are temporary while operators attempt to regain control of their plowing. Some are closed permanently and will not re-open during the early spring ice season. 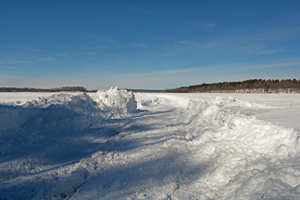 Snow on Lake Winnie's ice is hard packed and drifted, some drifts are 3 to 4 feet deep. The ice has been well insulted and ranges in depth only between 20 to 28 inches. There are numerous areas of slush under the snow, particularly in areas where there had previously been gatherings of anglers. 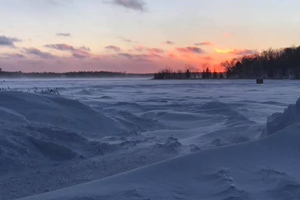 Note: 2/26/19 After reading Greg Clusiau's report about the Lake Trout fishing on Lake Superior, I wondered how the ice conditions were in the aftermath of the weekend storm. I asked Jarrid Houston to share some information and here's what he offered. "It (Lake Superior) is actually probably some of the most accessible ice in the upper Midwest right now. We do have snow covered ice, but nothing compared to the big waters of Northern MN. We are currently accessing Lake Superior on the WI side (Superior, WI) with machines. Snowmobiles are better, but wheelers are doing just fine. Ice is anywhere from 6 to 14 inches thick on Wisconsin side. On the Minnesota side, we are seeing some machine travel as well, but I have not brought out a wheeler for myself. Sherpa (one of our guides reported seeing side by sides out by Lester River. There are thousands of anglers fishing the twin ports, so fish have certainly been pressured. The Laker bite still has been fair to good, but time on the water will prove results. I prefer to stay on the shallower side for more hook ups and multi-species and always still the chance at a Laker. "Pack light. That’s what I was told, and they were right. Thank goodness it was fairly-warm on this day that I didn’t need to pull a shelter with me. All necessary items (Vexilar, chair, rods, and tackle) were stowed away on a small sled. Not really knowing what to expect, I had ice picks dangling around my neck. I wanted to be prepared, just in case. The ice, by the way, measured 10”. I thought “I could have brought my snowmobile” but that was just a passing thought, as the ice can be dangerous, especially where the cracks are. On the south end of the lake, most reports from anglers still showing very good ice fishing. Most fishing continues in 30-34' of water and there's a healthy mix of walleyes and saugers. There's a morning and evening bite in 15 to 20 feet of water too, if you can access the right areas. Ice thickness is pushing over 36" in most areas being being fished, but there's lots of snow and slush on the ice. If you are not on an ice road travel by vehicle is impossible. Snowmobiles may work better, but beware of slush pockets anywhere off of the groomed trails. Keep jigging lines moving and use Gold, glow red and other glow colors and use lures with rattles to help draw fish in. Strong current in the Rainy River this year, thus, ice is thinner than normal. Snowmobile trail on river is open and marked from Baudette (downstream from bridge) to lake. Stay on trail for safety. Up at the NW Angle... Mixed bag of walleyes, saugers, perch, pike, tulibees and eelpout. Most fish coming from 22-30'. Jig one line, second line dead stick with plain hook with live minnow. Nice crappies just over the border amongst islands. "The last few weeks we have been closer to Garden Island than home. We have had some great days and some mixed days this past week. Mostly, fishing remains good. We are still shuffling around the 31-32 foot mark. Lots of snow and wind today. Like most of the state, we have been getting a lot of snow the last few weeks and it is definitely putting water on top of the ice. We have about 3 feet of ice and some of the drifts today are 8 feet high. Early on in the effort to catch the fish on Feb. 9, record holder Darren Troseth knew he had something special on the line. “I’ve seen a lot of big sturgeon in my life, but I was stunned when I got a look at it,” Troseth said. Troseth and his fishing companion, John Kimble, were ice fishing on the St. Croix near Bayport. To get away from other anglers, they were at a location they had never fished before. When he hooked the record fish, Troseth was fishing out of a double hole he’d prepared. 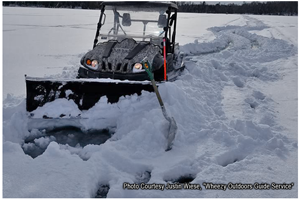 With his auger battery about to die, he was able to drill a third hole – but the fish still did not fit. So Troseth took to Facebook to put out a call for help to anyone in the area with an auger. Within a few minutes, two anglers who Troseth and Kimble had never met before showed up with an auger and expanded the hole. Now with five holes, the sturgeon could barely fit through. With the help of his fishing companion, Troseth was able to land the lake sturgeon. He quickly measured the fish at 78 inches, took photos and returned the fish to the river to potentially be caught again another day. Five DNR fisheries staff, two DNR conservation officers and the state record certification official reviewed Troseth’s state record fish application and supporting documents. After concluding that all requirements had been met and that the fish had been legally captured, the DNR officially certified. 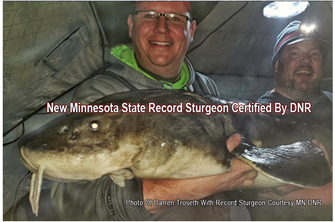 Troseth’s sturgeon as the new state catch-and-release record. The DNR announces new state records in news releases, on social media and on the DNR website. Find current records and guidelines for each type of state record at mndnr.gov/recordfish." "Ice Access to Bowstring Lake out of Trails End Resort has been closed. The blizzard-like weather compounded the problems caused by flooding created on Saturday when an angler drilled holes at the edge of roads. We’re trying to regain control of the roads, but it won’t happen until we can find a way around the slushy, drifted snow. 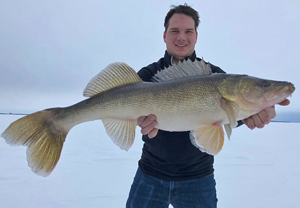 Jeff Sundin Fishing Report February 25, 2019 "Awaiting A Meltdown"
On Sunday, I wrote that our walleye fishing trip to Lake of the Woods had been postponed. Expecting to recover from a one day weather delay, we intended to re-group, let the weather settle and go up today instead. Later, I called back for an update; “We finally got the guys off of the ice road, but now one of our guides is stuck in slush on the Canadian side, so we’re heading up there to rescue him;” Brianna said. Long story short, we cancelled our trip in the hope that conditions will improve and we can try again later. For a time, moving north to Lake of the Woods provided an oasis away from the deep snow and slush here in north central Minnesota. Moving south used to be an option too, but now southern Minnesota has been hit with deep snow too. So for now, there are precious few places around the state where ice anglers can safely pursue their sport. Conditions will improve, but not until we see a major meltdown and you’ll be the first to know when they do. In the meantime here’s my advice; if you already know absolutely for sure that there is an access road leading to your fishing spot, then go ahead and have fun fishing. If you are unsure about the condition of a road, or if you had planned to travel off road, then stay off the ice, conditions are treacherous. If you have to go out to retrieve your ice fishing shelter, and then make sure you have a lot of help. Don’t wind up like the guy who was stuck on Lake of the Woods yesterday. He was approximately 22 miles out attempting to retrieve his wheel house when his rig got stuck. Without help, he turned to the best idea he could think of, a plea for help sent out over his facebook page. By early evening, he was running low on fuel and propane, still looking for someone to help. I’m sorry, I tried to find the post to learn how he made out, but for now I simply can’t find it. If I do, I'll publish an update. Erin Charlton Hello everyone! It saddens me that I have to write this. But every year we ask anglers NOT TO DRILL fishing holes on or close to our plowed roads. But every year, somebody does it again anyway! It’s already happened several times this year and we had another episode on the ice today. Hopefully we can recover from today’s offense and our flooded roads won’t need to be cut off our fishing. Bill is fighting hard to keep our roads accessible and for now, they’re still open. 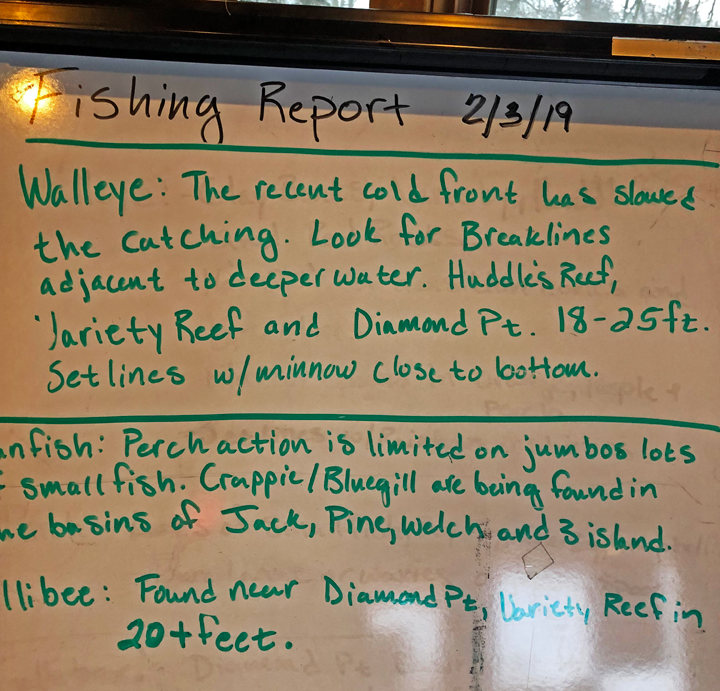 Jeff Sundin Fishing Report February 24, 2019 "Reviewing the Reviewable From The Boat Show"
Snow, slush and blizzard wind conditions are bringing me back to the real world today. Although we intended to spend the last day of Minnesota's inland lakes walleye season on the ice, I'm afraid that is not going to happen. Forecasts of strong, gusty winds and sub-zero temperatures blowing into the northland are bad enough. But combine these conditions with the wet, slushy snow on the ice and you have a recipe for disaster. I'm an optimist, you know that. But on this particular day I'm staying inside and I hope you'll follow my advice and stay off the lakes too. The world has enough disasters on its hands without losing you over a failed ice fishing trip! So by special proclaimation from Cub Reporter, Staff #003-IHBFBB — "All walleyes in Minnesota's inland lakes are hereby relieved of duty until Saturday May 11, 2019. At which time, you are ordered to appear before the Hippie Chick and a fishing party of her choosing for the Minnesota Walleye Fishing Opener. Please be prompt in arriving." But for all you walleyes located in boundry water lakes and rivers with open seasons; not so fast. You're not off the hook just yet, we'll be fishing for you again, really soon. I know that this winter is getting old, I heard it 100 times this weekend alone. But hang in there, Mother Nature has an amazing knack for balancing things out and I still believe that she's got a special present already gift wrapped. She's just waiting the right moment to spring the surpise on us. Let me take this chance to thank everybody who stopped by Ray’s Marine Open House over the past couple of days. It’s always fun to catch up with old friends and meet new ones while I’m at the show and this year was no different. For me, big news at this show was learning about the newly developed lineup of Mercury Outboards. Their 4 stroke engines have changed a lot since I boat my Pro V in 2016 and the new offerings are pretty exciting. Personally, the engine that just went on my wish list is their new “Big Tiller” 250 Pro XS. With an 8 cylinder engine, specially designed gearbox and all new tiller handle design, I think this engine will really match up well with my 208 GL. Not only in terms of performance, but it will definitely look nice on the transom too. First things first though and before I can talk about the engine I'm gonna buy, I need to tell you about the one that I already actually bought. You already know that I really love the smooth ride and fishability of my Lund 208 Pro V GL. But even though the Pro V tackles the big water, I've still loved my Alaskans for their ability to take me anyplace and everyplace I've ever wanted to go. That's why I bought another new one this weekend, the 20 foot, 2000 Tiller Model, just like my previous ones. I already knew that I'd have to decide on a new engline since Mercury’s 90 HP Opti Max went away a few years ago. I was sort of sad when that happened because I’ve had had 3 of them and for slow-trolling applications like walleye fishing, they were the perfect matchup with Lund’s 20 foot Alaskans. Humminbird’s Tim Winterhalter was at the show this weekend putting on his “All Star Fishing School”. He shared some news that got me really excited too and it was about the Humminbird Generation 3 lineup. In a nutshell, the new technology promises to deliver enhanced images of fish that we see on our sonar screens. Crisper, cleaner fish images and more sharply defined arcs will bring Humminbird’s sonar imaging up to speed with their already legendary charting features. “The new crystal is already included with Humminbird’s Ice Helix 5 and Ice Helix 7 CHIRP units like the one I have now. Now anglers who buy units for open water will get the same super-sharp images on the screens in their boats. If you already have a Helix unit on your boat, you can update to the new technology by purchasing the compatible transducer and installing the software update Version 1.900. The transducer will run about 90 bucks and the software update is free.” Winterhalter said. Okay, I'm not going to be at the show today, but there are still a good group of pro's on the floor. Drop in to see what else is new for the 2019 season, even if you're not ready to buy, it's good to move up the learning curve so that you're ready when the time comes. So far we've held our own against the snow and slush. Bill is working frantically to continue providing accessible roads for folks who want to fish on Bowstring. Honestly though, the job just keeps getting more challenging every day. Erin Charlton; "Hello everyone! It saddens me that I have to write this. But every year we ask anglers NOT TO DRILL fishing holes on or close to our plowed roads. But every year, somebody does it again anyway! 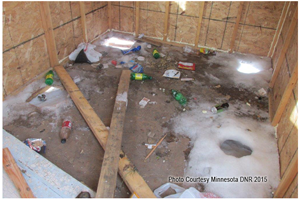 February 22, 2019 — "Trash Left Behind On Ice By Anglers"
Kent Baril wrote; “Hi Jeff, I am curious if you happened to see the article "Officers find Mille Lacs rife with over-fishing, drugs, and litter? It was published in the outdoors section of the Minneapolis Star Tribune on 2/9/2019. I find it very sad as to what has happened to the sport of ice fishing in our state. In my humble opinion, most of this law breaking has a lot to do with the introduction of wheelhouses. I do understand that the wheelhouse has been a big plus to the ice fishing industry and the number of people who now ice fish. I do fully believe most owners fish by the rules and respect the resources and other people too. Unfortunately, there definitely is a population of those who believe they can get away with whatever they want when they’re on the ice. I believe this is due to the sanctity and isolation within their wheelhouses. I've always been concerned about how many fish these people eat and keep during their multiple day outings. Not only that, but the trash they leave on the ice and their reckless travel on the ice roads that the resort owners work so hard at to maintain for their customers. I'm not sure what can be done, it's a difficult situation for those trying to police the situation. With the thousands of anglers now spending countless hours on the ice because of wheelhouses, I'm hoping the DNR can put some tougher regulations in place. Maybe they should increase the fines or take away fishing privileges from those who don't respect our resources and others. A) Kent, the problem of anglers leaving trash behind on the ice is a perennial one. 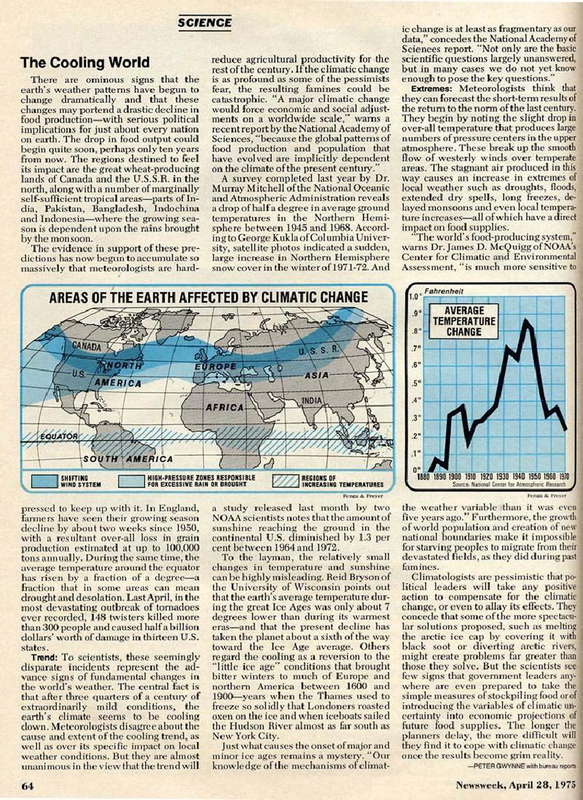 In fact, while I was researching an answer to your question, I found article after article from media sources all over the Midwest; they go back in time for decades. While the advent of wheel houses have definitely raised the profile of ice fishing from permanent shelters. I’m not sure that we should rush to the judgement that the poor behavior of certain anglers came as a result of the introduction of luxury fishing shelters. We had the same problems when folks were building cheap plywood shanties back in my formative years. I’d be lying if I said that I never thought about the potential for a certain percentage of fish being harvested illegally. But it’s likely more of a temptaion these days because of the complex fishing regulations. I doubt that we were so sharply focused on the issue in 'the good old days" because fishing regulations were so much simpler and less restrictive. I'll bet that we’d have the same problem today, even if we went back to those cheap plywood shanties. I definitely agree that it would be nice to see better, more respectful behavior on the part of every citizen and that includes more respectful behavior on the part anglers everywhere. Still, I’m not sure that respectful behavior can be legislated. We already have laws on the books that address every one of your concerns, but we still have violators on the ice. Passing more laws and setting higher penalties always seems to affect the honest folks more than it does the hoodlums. If it were up to me, I’d simply pony up to help raise additional funding so that DNR Enforcement actually has adequate coverage to catch the folks who cast dark clouds over our sport. In the end, the best that any of us can do is to lead by example. I remember numerous occasions when friends of mine “did the right thing” and I simply followed their lead. They probably never even knew that their good behavior influenced me, but it did and I’m thankful. That’s what I hope to do these days, I try my best not to be a game hog, I try not to leave a trail of trash on the ice behind me and I hope that others follow my lead. 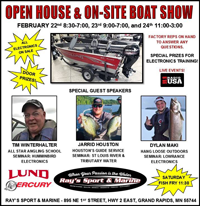 Take a break from winter and head over for Ray's Marine in house boat show and open house. The event hours on Friday are 8:30 AM to 7:00 PM, Saturday hours are 9:00AM to 7:00 PM and on Sunday the doors open at 11:00 AM and close at 4:00PM. One of the better reasons for coming over to the show is to see my friend Tim Winteralter. Winterhalter's "All Star Angling School" will be one of the feature seminars this year. I plan on taking a break myself to attend Winterhalter's class on on how to get the most out of your Humminbird Sonar and GPS units. There's always one more tip and I know I'll learn something. Dylan Maki, Hang Loose Outdoors and Jarrid Houstin, Houstin's Guide Service are both on the seminar schedule too and there's a fish fry starting Saturday at 11:30 AM. There's a lot of new gear out there and this is the perfect time to meet factory reps who can answer all of your questions. 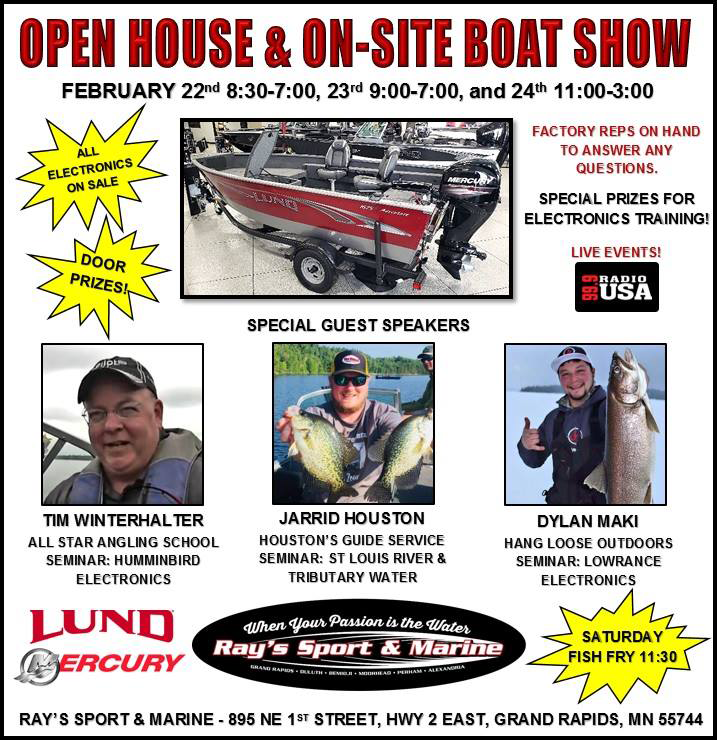 I'll be there mysef on Friday and Saturday to chat about Lund Boats, Mercury Outboards and the Humminbird/MinnKota lineups. February 22, 2019 — "Never Use Braided Line For Wiggle worming Walleye; Why Not?" Q) Tim Roche wrote; "In your wiggle worm article, you state 4 lb. mono, never braid. I am trying to learn SO WHY NEVER BRAID? Not questioning your call just wondering, why. Thank You Sir, Tim Roche"
A) Tim, thanks for the note. Essentially, I believe that a little bit of stretch is really good when fishing for walleyes. It's especially when I'm using finesse presentations like the wiggle worms and when I fish with inexperienced anglers, the difference is astonishing. Braided line is wonderful, but it is just so sensitive that it tends to make anglers jumpy. The extra sensitivity increases the risk of surprising the fish and spooking them when they first pick up the bait. "Since we have three to four feet of snow on the ice right now, travel off of our plowed roads is only possible using snow machines. Pickup trucks are limited to the plowed roads and we’re doing our best to keep up with them. With such hampered mobility, it’s not easy to give a comprehensive fishing report, but here’s what we do know. The walleye bite has been okay, folks are finding some fish on the shallower breaklines located both close to shore and on some mid-lake structures. We are having troubles finding the crappies, at least crappies that are accessible. Locating schools of fish within striking distance of the plowed roads was easier during early winter, but many of these areas have received steady pressure and the action has been diminished. People on snow machines are striking out into less pressured areas and they are the ones finding the crappies. February 21, 2019 — "Explain How Deep Snow Cover Affects The Fishing?" Q) Erin Charlton wrote; "Would you please explain the relationship between the deep snow, lack of sun penetration and what it does to the fish? Do the unusual fishing patterns relate to low oxygen levels in the water?" A) Erin, Pinning down the effects on fishing caused by reduced levels of dissolved oxygen in Bowstring is subjective. If you ask the same question every season, you’d likely get a slightly different answer. Ice thickness, snow cover and the number of sunny days all influence what happens under the ice and those conditions change periodically. One generalization that usually can be made is that the larger a lake is, the less likely it is to suffer the effects of oxygen depletion. 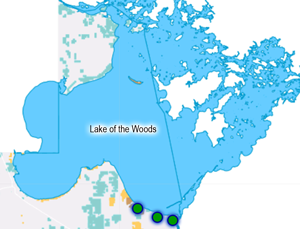 Lakes lake Winnibigoshish or Leech Lake for example rarely suffers from oxygen depletion. "Lake Trout - Lake trout fishing was good this last week with several fish over 30” caught. Key depths remain between 35-50 feet of water. Humps with deep water around it, saddle areas and deep flats are the key areas anglers have been fishing. Tube EEZ, red/white tubes and blade baits have been accounting for the majority of fish caught. Dead smelt, lite northerns or pike suckers, fished under a tip up, have shined on the days when artificial isn’t working. Pike - Pike fishing was excellent this last week with many anglers reporting chasing flags all day. Heavy suckers, lite northerns and Alewife’s fished in 10 feet of water or less has been resulting in some nice catches. Stream Trout - Stream trout fishing has started to slow on some of more heavily fished lakes, but remains good on many of the over looked lakes. Trout are being located shallow early in the morning, then slide deeper as the day goes on. Small rippin raps, jigging raps and tungsten jigs fished with waxies or salted minnows have been producing best. Crappies- Interest in crappies is starting to grow as temps start to warm up, but good reports have been limited. Anglers should look for crappies to be located over 25-35 feet of water and near shallow bays as we get closer to ice out. 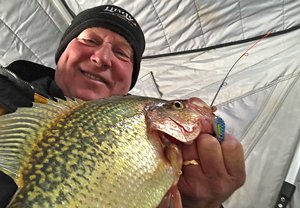 February 20, 2019 — "Suggested Perch Locations On Winnibigoshish"
Brad Zdroik wrote; Q) “Hey Jeff, (I have) a couple quick questions for you. We're taking our annual late ice trip up to Winnie in early March. Our main target is perch. On larger bodies of water, such as Winnie and Bowstring, what triggers the fish to move into more shallow water? I guess the main question is this, what depth should we try starting at in order to find the perch? Looking at the forecast, it doesn't look like we'll be warming up anytime soon, so I was thinking we'd maybe want to start in 15-20 feet of water. If we're still dealing with slush, it seems to me we could make it much easier on ourselves if on the first night we arrived, instead of hunkering down in the cabin, we take the snowmobile out and beat down our trail to where we want to fish the next day. By doing that, maybe we would expose some slush, allow it to freeze, and hopefully have an easier time getting out there the next morning; thoughts? A) Brad, the timing of your question is interesting because I'm working on an answer to a similar question about Bowstring. That QnA will appear in the report before the weekend as well. Perch location during late winter/early spring in Lake Winnie is driven primarily by food and secondarily, also influenced by their instinct to spawn. Perch spawn in areas that contain woody cover like bulrushes, cabbage weed stubble and other sunken debris. That means some of the fish will be moving closer to back bays, flowages and weed flats. They will feed on whatever is handy and that makes pinning them down a little tricky. A nomadic school of perch chasing minnows can provide great action one day, and be long gone the next. It’s likely that during the time you’ll be here, there will be still be perch feeding in deep water too. There are fish feeding on minnows over deep water too, but this is the time of year to search for the fish that feed on insect larvae. The relationship between midge larvae known as bloodworms and perch is well known. When perch find bloodworms, they tend to stay in that area until the food supply is consumed. For bloodworms, finding marl in the bottom content is more important than focusing on water depth. 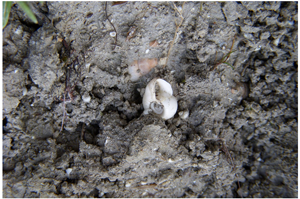 Marl, a semi-soft substrate that contains a mixture of sand, clay and decomposed plant material provides both cover and food for bloodworms and could be found deep, shallow or anywhere in between. That said the easiest way to find these areas during winter is to focus on the transition between a firm bottom and soft silt. Most commonly, areas like this will be found in water depths of 24 to 28 feet, give or take. Whether you find them deep or shallow, the better perch areas will be flat; perch do not require steep breaklines or dramatic structures. You already know that everything I just told you depends on whether or not you can travel off road. Conditions around the area are very un-predictable, so I urge you to be cautious. Still, your idea about beating down a trail with snowmobiles isn’t a bad one; in fact I wouldn’t mind trying it myself sometime. My approach would be to fire up the Lakemaster chart and look for slow tapering flats that connect deep, mid lake structure with shallow, weedy flats where perch will spawn later this spring. I’d try to follow the contour at about 26 feet and use that trail as my starting spot for the next day. "Ice thickness is now pushing over 36" in most areas being fished, extension for auger needed if not fishing with resort or rental operator. On the south side of the lake, there's a nice mix of eater walleyes and saugers with some big walleyes as well. Most folks are fishing in 30-34 feet of water and there are some good reports in 15-20 feet of water during morning and evening. Anglers who try and get away from traffic are doing the best. Rattle baits effective to pull fish in. Keep jigging lines moving. Electronics very helpful. Some nice walleyes again suspended this week. 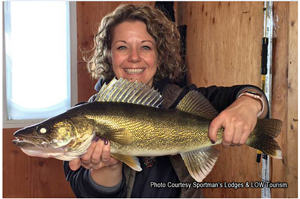 Fish houses on ice through March 31, walleyes open through April 14, pike season open continuous. On the Rainy River, there's a lot of current in river. Ice is thinner than normal for February. Area around International Bridge in Baudette not safe due to construction of new bridge. 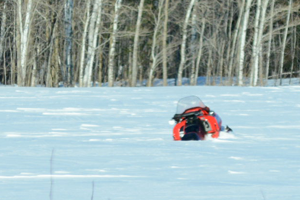 Snowmobile trail on river is open and marked from Baudette (downstream from bridge) to lake. Stay on trail for safety. Up at the NW Angle, the best bites occur during morning and evening. Nice mixed bag of walleyes, saugers, perch, pike, tulibees and eelpout. Most fish coming from 22-30 feet of water. Gold, glow red and other glow colors best. Downsize jigging presentation if fish are sluggish. "We are still shuffling around the 12 miles past Pine Island spot. There continues to be a consistent bite. Anglers are still seeing suspended fish and electronics are a great help. Active jigging will pay dividends. It is looking like a great week ahead. Temps should stay above zero and light winds. It will be a nice break from what we have had the last few weeks. 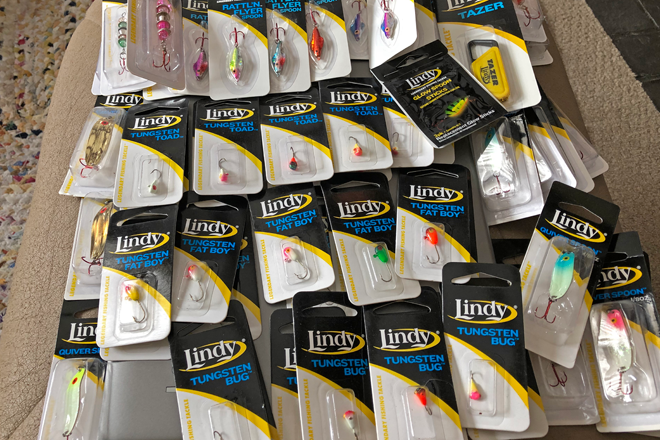 Jeff Sundin Fishing Report February 18, 2019 Adventure On Lake Mille Lacs - "For The Love Of Fishing"
It's not too often that I start my report from the ending of a fishing trip, but this time I think it should go that way, so let's get to it. "Cold weather, transportation problems and a finicky, late season walleye bite is enough to keep most folks home in front of the TV; not these fellas though. Step by step, hole by hole and lure by lure, these boys made the fish bite using sheer will and determination. Jeff Sundin Fishing Report February 15, 2019 "Awaiting A Meltdown"
By now, I’m sure there are a few folks getting tired of hearing about poor ice conditions on small lakes in the Itasca Region. I’m sorry to bring it up again, but this could be really important news for weekend anglers who don’t see these reports every day. On Thursday, I spotted a photo of an ATV that was stuck in slush on a lake. The machine belonged to an acquaintance, Justin Wiese so I sent a note asking for permission to share it with you. Stories like Justin's are getting to be way too common in these parts and like me, most folks have decided to play it safe and stay off of the ice on small lakes. I know that there are some exceptions, certain lucky anglers happen to have a snow plow, or maybe they have a neighbor who plows a road on their favorite little lake. That's fantastic, but for the rest of us, travel on small lakes that don’t have access via plowed roads isn't just a hassle, it's downright dangerous. No matter how cold it gets, the deep snow we already have is enough to prevent slush from re-freezing. Remember, when the lake is not making ice, it is losing ice, so all of these slushy spots will continue to get worse before they get better. Even after we do receive a meltdown, re-frozen ice in these areas will not be uniform in either thickness or quality. Curious about the likelihood of getting relief in the form of a meltdown, I looked up the average climate data for Grand Rapids, MN. WOW! Was I was surprised at how far below average our air temperatures already are! According to the US Climate Data Website, Grand Rapids' average high temperatures in February is supposed to be 26 degrees F. That is a temperature which we have not seen a single time so far this month, not once. It’s bad enough that our February weather history already features below average temperatures for the region. But looking at the February outlook on the NOAA weather website didn’t make me feel any better. According to the NOAA February Climate Outlook, prospects for a significant warmup are not good. In fact, we might not see temperatures above the freezing mark until March. Okay, so what's the plan? For me, it is to roll out the red carpert for every resort and rental operator who maintains plowed roads on a lake. Without these folks, none of us would be having much fun for the next few weeks. I want to make it as easy as I can for anglers to find lakes with access to plowed roads, so if you're a rental operator, here's a chance for some free advertising. Just drop me a line and let me know where your roads are located and how much it costs to access them. 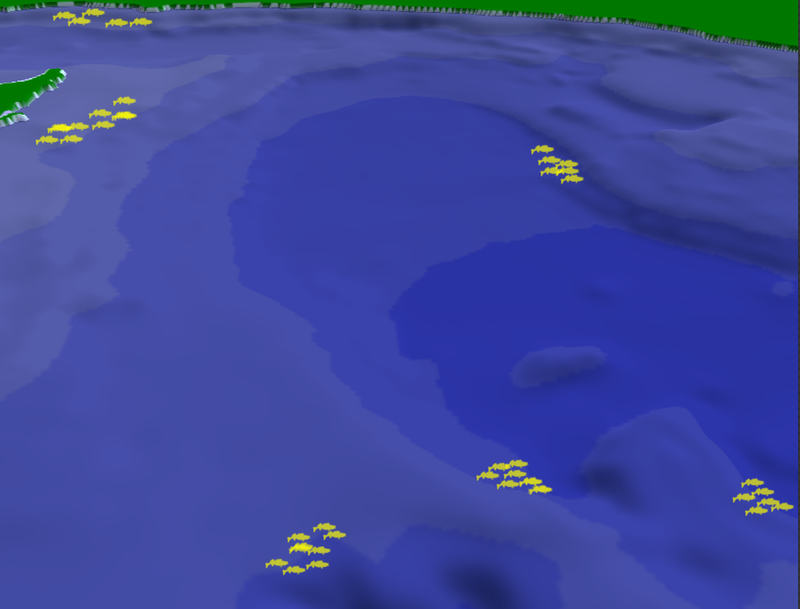 I'll add them to the fishing updates as they become available. A note from Erin Charlton, Trails End Resort on Bowstring said; “Lots of snow on Bowstring right now. There’s about 3 feet of snow across the lake, with drifts up to 4 feet in some places off the roads. Snow machines are the only way to go for anglers who want to hole hop. The good news is that Bill is going to be on the ice plowing all weekend. He takes pride in making sure Bowstring remains fishable and we’ve got roads leading to reliable fishing areas. We’re seeing the makings of a better bite these days too; fishing action is starting to pick up. NEWS RELEASE February 2019 "Lake Mille Lacs open-water walleye harvest proposed for 2019" - State and bands agree on safe harvest level. 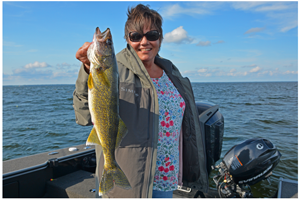 "Anglers on Lake Mille Lacs will have an opportunity to keep some walleye during the open-water fishing season this year. This follows several seasons of catch-and-release fishing on the lake. 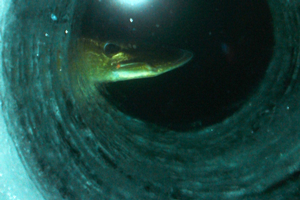 Last year, state anglers stayed well under the lake’s safe-harvest allocation for walleyes. 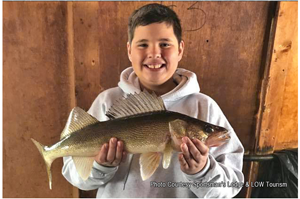 With an improving walleye population, the Department of Natural Resources will allow some walleye harvest when the season opens Saturday, May 11, 2019. 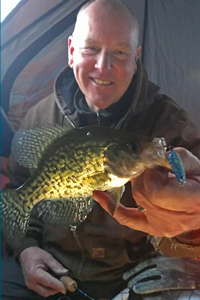 Jeff Sundin Fishing Report February 14, 2019 "Timing The Time-Able"
Here we are, halfway through February and entering the prime time for panfish and perch. Unfortunately, with deep snow and slush hampering travel on smaller lakes, it’s questionable how much those of us in north central Minnesota will really get to enjoy our remaining time. We still have a couple months of ice season left, but we’re in serious need of a meltdown to improve conditions before the masses can get back on the ice. It’s not punishment; it’s just Mother Nature’s sense of humor. She will fix us up with better conditions sooner or later; it’s just a question of how impatient she wants to see us become first. While we’re waiting for small lake conditions to improve, Walleye fishing continues to be my sport of choice. For me, the best choices include heading south toward Mille Lacs or heading north toward Lake of the Woods. Until recently, neither of them was hit with the heavy snow that fell over the north central region. There may be snow on the ice now, but conditions under the snow are still better. Travel by snowmobile is good and there are numerous plowed roads that lead to good fishing territory. Where we go depends on what we want to do. We’ve been alternating between Mille Lacs and LOW all winter and we’ve caught good fish on both lakes. When we need a few eaters, LOW gets the nod, but when we want to CPR some big walleye, then Mille Lacs is all the further we need to drive. If I was going to fish perch or panfish this weekend, I’d have no choice but to head for lakes with plowed roads on them. Bowstring, Winnie or Leech Lake all have good access roads that lead to potentially good fishing spots. Whether or not the fish will be biting is another question though, reports about really good fishing on any of them have been few and far between. That could all change this weekend because it appears that more stable weather is on its way. After a turbulent day today, clear skies, moderate temperatures and calm winds could make this a fun weekend to be on the lake. Mid-February isn’t exactly the time to be talking about early fall panfish presentations. But I because there are several “ice fishing lures" that I love to fish with during the fall, I thought I better give you a heads up now, while they’re still available on the store shelves. That’s right, in case you haven’t noticed; sporting goods sections at many stores are already switching over to summer merchandise. Soon, you can forget finding many of the best ice fishing lures; they will either be sold out or put away until next November. If we don’t stock up now, it will be tricky to find some of these baits In September, when we really need them. For fishing suspended fall crappies, I like to have a supply of Lindy Tungsten Ice Worms and Fat Boys on hand. I use the #6 size; they are compact, but fish heavy and allow excellent depth control even on windy days. Pink/Glow, Pink/Yellow, Green/Black are my favorites, but I try to have a few other colors available as well. For bluegills, I prefer the smaller profile of the Tungsten Bug or the Tungsten Toad. The Toad is available in size #10 which gives me the fastest drop rate and provides excellent control of my presentation. The Tungsten Bug has a flatter profile so they show up really well on my electronics. Both lures feature offset line ties on their hooks, the offset allows either lure to swim horizontally and provide a very natural appearance. I like Orange/Brown, Green/Black and Pink/Yellow for sunfish. For crossing over to crappies, I keep some Red/Glow and Pink/Glow on hand as well. I've never spent so much time ice fishing for walleyes as I have this winter. But with poor access to panfish, it's actually been easier to find decent walleye fishing than anything else. Lake Mille Lacs will be my destination again this weekend. With only 10 days of inland walleye season remaining, this will likely be my last chance to get a photo of that big Mille Lacs Walleye that we all dream about. "On the south end... Overall, really good ice fishing for mid February with a nice mix of walleyes and saugers. Most fishing 12-15 miles out, 30-32' of water the norm. Other nice pods of fish found in closer to shore away from traffic. Some good reports during the day in 15-20'. Ice thickness pushing over 30" in most areas being fished, bring your extensions for augers if not with resort. Some nice walleyes again suspended this week. Your favorite ice fishing electronics to mark fish is very helpful. Jig one line, try teasing fish up. Deadstick the second with a live minnow on a ice jig or plain hook under bobber. 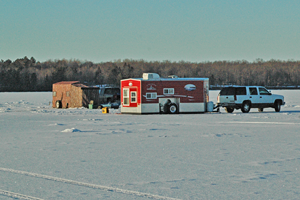 Fish houses on ice through March 31, walleyes open through April 14, pike never close. On the Rainy River... Some reports of morning/evening walleye action on river and Four Mile Bay. Area around International Bridge in Baudette not safe due to construction of new bridge. Lots of current, thus thinner ice than normal for Feb. Snowmobile trail on river is open and marked from Baudette (downstream from bridge) to lake. Stay on trail for safety. "We continue to stay around the 12 miles past Pine Island spot. There has been a consistent bite. The temperatures will be much warmer this week than last week. We have highs close to 10 above and lows -0. There is a possibility for some snow this week, with little wind. 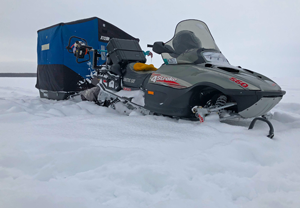 Jeff Sundin Fishing Report February 11, 2019 "Let It Snow, Let It Snow, Let It Snow"
I’m the first to admit that I do not like travelling by snowmobile when there’s a chance of getting stuck on the ice. My wife likes the idea even less than I do and that explains why we didn’t try to be more creative in our approach to fishing this Sunday. Before we left the landing, we looked at the Humminbird and selected a single GPS coordinate. Based on past experience, there would be some fish in that area, at least there always has been in the past. I lined up the straightest path I could, hit the throttle and told the Hippie Chick to hold on tight. We made it to the spot and didn’t get stuck, but I can’t say that snowmobiling 2-up with an ice fishing shelter in tow was a lot of fun either. I’m guessing that snow depth on the lake was about 16 inches and the underlying ice thickness was about 24 inches. There were patches of slush under the snow; I could feel the back of my snowmobile track sinking. But thankfully the snow was deep enough to protect the track from digging down far enough to actually reach the slush. Later though, we could see the telltale streaks of wet, grey snow in path we had followed. By the time we had the holes drilled and the shelter set up, my boots were already full of snow. I got the heater running and sat down next to my wife, set her up with a graph and watched her fish. I reasoned that anything she caught would make me happy, I didn’t care if I caught a fish or not. In fact she said; “I don’t think your heart is in this, you’re not making much effort to catch a fish.” For me, catching a fish was the least of my concerns, it seemed like the less confusion I added to the scenario, the better life was. Long story short, she hooked 3 fish, 2 of them escaped and the 1 that we captured was a pike. The other 2 were likely pike too; at least they were too large to be perch, our target species. We saw numerous fish on the screen of her Humminbird, but perch that were in that area were not active enough to strike. Spitting snow and darkening skies encouraged us to move off the lake earlier than usual and by 5:00 PM we were loaded up and rolling back toward home. Unless we get a meltdown of significant magnitude, I’m planning to become a lover of plowed roads for a while. While it’s possible to travel off road, moving from spot to spot will be tedious. Unless somebody points out a safe path of travel beforehand, it could be dangerous too, especially if you’re like me and travel alone a lot. Today, research about where we can all travel on plowed roads is on my agenda and I’d like to call on you for help. If you’re on the ice, or know someone who is, please drop us a line about plowed access roads and travel conditions on the ice. It’s not just a nice thing to do; it could save someone from getting into unexpected trouble! Jeff Sundin Fishing Report February 10, 2019 "Digging Out After The Storm"
It was -25 degrees when we woke up on Saturday and I have to be honest; we were in no big hurry to get out on the ice to fish. 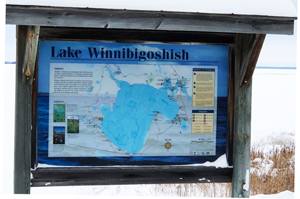 We were interested though in seeing what the lakes looked like after the big snowstorm and with that in mind, took off around noon on a driving tour to see Lake Winnie and Leech Lake. “It wasn’t fun, but we made it through the snow and have roads plowed out as far as our rental houses”, Chad Mertz, Pines Resort said. “So far, we haven’t seen the return of slush, but the snow is deep and unless you’re using a snowmobile or track machine, you won’t be going far off of the plowed roads on Winnie;” Mertz added. Kevin Zimser, Reed’s Sporting Goods; “Trapper’s Landing, Leech Lake, had 4 plow trucks on the ice until midnight last night (Friday) and finally got their roads open again. As of Saturday, anglers travelling out of Trappers Landing can reach as far north as Mokey Reef , or they can follow one of the spurs leading east off of the main road. We stopped in at Trapper’s Landing for a firsthand look. Traffic was moving easily along a nice, wide plowed road. Every vehicle and every wheel house we saw was either on that system of roads, or located very nearby. 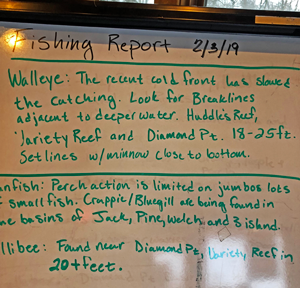 The accompanying image reveals that their fishing report board hadn’t been updated for a few days, probably because conditions on the lake have taken precedence over talking about fish and how to catch them. No matter which lake you’re fishing the rule of thumb will be the same. If you’re not fishing out of a rental shelter, or haven’t hired someone to plow a spot open for your wheelhouse, then your best bet right now is to use portable shelters, follow plowed roads while and watch for interesting fishing structure on your chart. Park someplace safe where you have the ability to hoof it from the main roads to fishing structure. Unless you enjoy being cussed out by somebody running a snow plow, remember not to drill holes too close to any plowed road and never, ever drill on the road itself. When you have people working day and night to keep roads open, the last thing any of us needs is to encounter slush and flooded roads. It’s especially not fun when flooded areas are caused by folks carelessly drilling holes in the wrong territory. Hole-hopping, fun as it might be, causes problems too. When heavy snow forces the ice to sag, every hole we drill allows more water to reach the surface of the ice. The more water on the ice, the more slush we get and the more slush we have, the less fishing we can do. So instead of drilling 50 holes to find a fish, I use my Lakemaster Chart to locate key spots on a structure. You’d be amazed at how often you’ll only need to drill one or two holes to find fish. In fact, on our recent trip Lake of the Woods, we only drilled about a dozen holes on the entire trip. Save the hole hopping for later, after we get a meltdown and ice conditions improve. As of today, there are 14 days of Walleye fishing season remaining on Minnesota’s inland lakes. While the action is not fast and furious in north central Minnesota, you will catch a few if you can find them. Whether from Winnie, Leech or Mille Lacs, reports are similar; the best walleye fishing has occurred after dark and before dawn. Perch and panfish reports stopped coming in a few days ago. Access to smaller lakes has become especially problematic. It’s hard to imagine how slush could have gotten any worse than it already was. But another fresh layer of snow has intensified travel problems on small waters. O Saturday, we drove to one of Grand Rapids’ most popular panfish lakes and for the first time in my memory, there was nobody out there. Well, almost nobody; there was one permanent shelter occupied by a couple of anglers who travelled by snowmobile to reach it. Other than those 2 machines, we did not see a single vehicle anyplace on the lake. That scene, played out on a Saturday morning told me that there wasn’t any way to get onto the ice at that lake. A note from Bowstring Lake, Trails End Resort came on Saturday afternoon. It said; “Got the plow fixed and we are back up and running.” I guess that means that if their plow doesn’t get broken again, their roads will be opened up again very soon. "Lunkerhunt continues the push the development umbrella with innovation in their designs that includes lifelike looks, UV coating and actions that catch fish. No matter where you live Lunkerhunt has a family of products to help you catch more fish. Plastics, frogs, rats, worms, jerkbaits, topwaters and spoons are combined with tested original shapes, colors and balance that sets them apart from other manufacturers. Their array of products continues to grow but rest assured they take extra effort in every detail so each bait works precisely as designed. February 9, 2019 - "Ice Fishing Updates Lake Winnibigoshish?" On February 8, 2019 I received multiple inquiries about the fishing action on Lake winnibigoshish. Reports are trickling in now as the resorts and rental operators dig out from the snowstorm that dumped upwards of 15 inches on the lake. Hopefully, my answer to this question from Jake Kuchenmeister will get you pointed in the right direction. Q) Big fan of your reports. Been following you for a while. Seen you had posted a new blog and used one of our pics from Flag Island; pretty cool. I am heading up to Winnie the 21st-24th. Never fished it in the winter. We are staying at Beckers. Planning on renting a shack Friday and hole hopping Thurs and Sat (maybe). All we have his wheelers - no tracks. Are we going to be able to get around or should we plan on renting shacks the other days? If we are looking for walleyes, what should I be looking for? I don't want spots, just what to look for on a map. I love breaking a lake down. Finally, What are the go to colors on Winnie? A) Thanks for getting in touch and for the kind words. We just got hit with a bunch of new snow, so I'm guessing that travel by vehicle will be tricky at best, maybe not even possible. 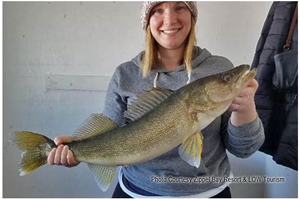 I've heard good reports about the perch fishing on the west side of Winnie, but nobody is talking about any great walleye bite except for a possible lead on the east side, in Tamarack Bay. Mid lake structure is usually where guys find walleyes during winter, but it sounds like shoreline breaks are better right now. If you can get to it, I'd focus on the breakline along the edges of the River Bar and or Sugar Bar. I've heard that the key depth is about 18 feet, but I have not yet checked it out for myself. There's a chance that I will fish Winnie this Sunday and if I do, there will be firsthand reports on Monday morning. Winnie's clear water lends itself to natural, more subdued colors. I really like blue, perch and orange/brown combinations. "Over the past several weeks we have seen a wide variety of weather. From thirty degree highs to 45 degrees below zero, light winds to forty miles per hour gusts and sixty two below zero wind chills. It seemed like it snowed almost every day which ended up dumping well over a foot of snow on the area lakes. The wind has been blowing the snow down the lakes making drifts on the downwind shores. Few people were fishing in all this but we have had reports of both Crappie and Pike have been on the bite at times. Things should be better this weekend as a slight warm-up will take place starting this Saturday. Speaking of Saturday, the Snowshoe Fourteenth Annual Ice Fishing Contest held on Rainier Lake in Marcell, MN will be held this Saturday the nineth. The contest starts at twelve noon and ends at three pm. Lots of prizes and fun await. Only 150 people can enter. You must buy a button to participate. They still have a few buttons left and you must be in person to purchase one, so come on up and share the fun. On Thursday I wrote; "I’ve got some theories about how the fishing pattern worked on Lake of the Woods... I promise that I’ll pick the subject back up tomorrow morning." I always keep my promises, so here you go. The average Lake of the Woods Crappie is nice, really nice. Catching fish in the 12 to 14 inch range is common and for those who fish persistently, fish over 15 inches are available in good numbers. "Wow!" That was the one word report that I got from Erin at Trails End Resort yesterday. At that time, there was already 16 inches of snow and they were still receiving more. On Friday morning I asked for an update and received another advisory; "We have 3 feet of ice, maybe more, but we've also had 20 inches of new snow this week. Bill has been working all week long, fighting to keep the roads open, so it's nice to see the sunshine today. We wish that there were some hot tips about fishing that we could share, but the truth is that between cold snaps and snowfalls, it's been hard to gauge whether the fish are biting or not. We do know that the few anglers who have reported back to us say that the fish have been tight-lipped this week. We're hoping for a period of stability to allow fish to begin moving and feeding better again. "On Wednesday morning I wrote; “After re-grouping, re-charging and re-locating, we’re back at it again today. With luck, we’ll be able to drum up a little better action and the story tomorrow will be a little happier one; you’ll be the first to know.” As promised, here’s the update. After the slow day of walleye fishing, we experienced on Tuesday, we decided to shift gears. We reasoned that a move further into the Canadian side to fish for crappies might give us a more rewarding outcome. Overall, that decision was a good one because the crappies we caught were super high-quality fish. So even though the action was not hot and heavy, the hunt for “trophy” size fish was worth the effort. Forgive my feeble attempt at taking a selfie, my arm was not long enough to get both me and the fish in the snapshot. But I wanted to try and give you an idea of the fish that are available and didn’t have anyone nearby to snap the photo. Crappies in the 12 to 14-inch range are common and for those who fish persistently, fish over 15 inches are still available. "Lake of the Woods was less hospitable yesterday than it was on our last trip. After receiving 6 to 8 inches of snow early Monday, a cold, high pressure system blew in behind it and churned up deep snow drifts. Resorts and shelter rental operators were getting the plowed roads under control throughout the day on Tuesday and by Tuesday evening, good travel conditions on the plowed roads had been restored, but going off road is another story. Travelling by snowmobile allows us to reach areas that receive little if any pressure during winter and that’s usually good, but there’s a down side. Deep snow drifts combined with a high snow bank formed by plow trucks set up a trap that we fell into. When we tried crossing the snowbank, our sleds plowed face first into the fresh drifts; that gave us a nice work out. Once we were back on track, travel by snowmobile wasn’t all that bad. The deep snow made for a soft ride, but at the same time slowed down our travel speed. Slush, as of Tuesday, wasn’t bad either, we found a couple of small isolated patches that were easily managed. For us, the whole scenario made catching fish tricky. It took longer to get set up, it took longer to move around, the fish we found weren’t very aggressive and little things just kept going wrong all day. Between the workout we received while getting our sleds un-stuck and the effort we put into setting and moving fishing shelters, we were ringing with sweat by the time we arrived back at the cabin for supper. At dinner, we spent time talking about our fishing luck throughout the winter and mostly, it’s been really good. Lots of other anglers have had good luck up on Lake of the Woods too and I guess Tuesday was just our time for a slowdown. Everybody needs an occasional lesson to help keep it real, one that reminds us we can’t have a great day every time we go fishing. "Lake Trout - Lake trout fishing slowed for many, but was excellent for some. Blade baits and glow in the dark tubes worked best. Small pike suckers fished half way down, under a tip up, also took their fair share of trout. Key depths remain 35 to 50 feet of water. Stream Trout - Stream trout have been hitting small rippin raps, and black hair jigs in 15 feet of water or less. Anglers should key in on down trees, beaver houses and weedbeds for active trout. Walleye - Walleye fished remains slow for many anglers. The few good report of walleyes being caught have been on medium to large rippin raps or blade baits. Main lake structure in 20-40 feet of water, like humps and neck down areas have been producing the best. Some fish were also caught on rattle reels during the over night. Chubs or small pike suckers has been the bait of choice. Panfish - There have been a few anglers targeting crappies and sunnies. Crappies remain in their wintering holes, in 25-35 feet of water. Small tungsten jigs tipped with waxies has been the best approach. Some sunfish have been mixed in with the crappies, but for numbers of them anglers should focus on the shallow bays with any kind of green weeds. Wired2Fish February 4, 2019 "Ice Fishing With Custom Mapping - Find Fish Fast"
"Finding productive fishing spots is one of the biggest challenges in ice fishing. Your ability to cover water and find fish is reduced to a hole in the ice and vertical jigging. Accurate mapping has become a must-have tool for today's savvy ice angler, as it allows you to make smart location decisions before drilling a hole. Wired2Fish's Ryan DeChaine explains how he uses custom mapping created during the open water period on the ice to map out and strategically drill holes. "On the south end, ice thickness pushing over 30" in most areas being fished. Ice roads open. Snowmobile trails across lake and around area staked and groomed with fresh snow. Good ice fishing action continues with a nice mix of walleyes and saugers. Most anglers are fishing 12-15 miles out, 30-32' of water the norm. Other nice pods of fish found in closer to shore away from traffic. Some nice walleyes again suspended this week. Your favorite ice fishing electronics to mark fish is very helpful. Jig one line, deadstick the second with a live minnow under bobber. Jig deadstick periodically to keep minnow moving and get attention of fish. Up at the NW Angle... Great week of ice fishing with mixed bag of walleyes, saugers, perch, pike, tulibees and eelpout mixed in. Most fish coming from 24-30'. Pink/white, gold, glow strong colors. Rattle baits to pull fish in proving successful. 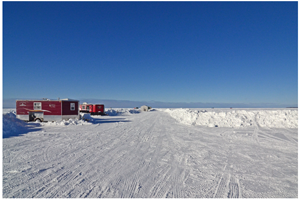 "We are still hovering around the 12 miles past Pine Island mark. Any further or going in any other direction is not improving the bite any, we are in a good spot with very little traffic around us. Steady this past week, the cold weather and major changes have not had much of an impact on the bite. Electronics are still an advantage and we continue to stick with the gold and glow colors. More reasonable weather is forecasted this week. We do have some -0 temps overnight and daytime above 0’s. It is making a person start thinking about having enough snow and ice for a long season. Jeff Sundin Fishing Report February 4, 2019 "Grand Rapids Ice Fishing Update"
One would think that all of those -30 degree days would have frozen the slush and made it easier to move around on small lakes in the Grand Rapids area. That’s why I left the snowmobile at home this weekend; I figured that we would be at least somewhat mobile. I was wrong though, once we got to the end of a plowed road opened by a local rental operator, we were stuck. There were still a lot of tall, fluffy snow drifts and I could see slush filled ruts in the snow where others had tried to go off road. For me, it wasn’t worth the trouble, so I looked at the chart on my Humminbird and picked out a little corner within walking distance and drilled some holes. There were fish at spot I’d chosen, a corner that lies along the outer edge of the lakes deepest hole. We could see them appear on the screen, check out our bait and then casually swim away. It seemed certain that the fish would feed better toward sundown, so we set up the hub and decided to wait them out. Long story short, they did eventually begin to feed, but it was far from a great bite. Like me, every other angler on the lake has been stuck in that same area for the past 3 weeks. The most aggressive fish in that area are already gone, caught within the first week or so of the ‘wheelhouse” season. The rest of the fish in that area have been pressured, even during prime time, they were finicky and cautious about striking. I always learn something, especially on days when the bite is tough and this was no exception. The Glow Spoon trick that Austin Jones revealed the weekend before worked here in Grand Rapids just as it did in northwestern Minnesota last week. As the sun went down, crappies began to single out the Glow Spoon. That reinforced the notion that I should always have at least one rod glowed up for the last half hour of a fishing trip. While I was on the lake scouting, I had a conversation with a man who’d stayed in his wheel house overnight. “The fish bit good last night, from 9:00 PM until midnight we didn’t have much trouble catching them and they were good size keepers;” he said. I don’t plan on spending the night out there to test his theory, but if you’re on the ice overnight in your sleeper, it might be worth knowing. No matter whether the bite was a great one or not, it was nice to get outside again. After hunkering down during the cold blast last week, 20 degrees above zero felt like a tropical vacation. For this week, it’s time to hook up my snowmobile trailer again. For the moment, mobility is going to be the secret to finding fish that haven’t been pressured and until we get a full scale meltdown, it’s hard to see how driving my pickup will afford enough flexibility. For wiggle worming and most other shallow water jig fishing I use 4 pound test mono exclusively. In the wiggle worming application, the stretch of mono is actually an advantage because it allows an angler an extra second to think about what’s going on under the water. When you’re wiggling a night crawler in and around cover like weeds and rocks, you want the bait to settle softly, without snagging. That little bit of stretch in the line provides a safety cushion between me and the fish. There’s a split second when I wonder if I’ve had a walleye pick up or if my lure just snuggled up against some structure. During that moment, it’s crucial that the fish doesn’t “feel me” and drop the lure. Fishing light lures on a breezy day isn’t much fun when I’m using braided line either. The breeze catches the braid and makes controlling my lure more difficult as well. I know that you probably fish a fair amount of deep water on Rainy Lake and if you like braided line for deep water applications, I think that’s okay. But if you’re thinking about giving wiggle worming a try, give yourself the advantage of replicating my setup. I use a 6-1/2 to 7 foot light action rod with a soft tip, 4 pound mono and a 1/16 ounce Lindy Live Bait Jig; that combination is a long time, proven winner. Jeff Sundin Fishing Report February 2, 2019"Serving The Servable"
"We all go through it, after serving reliably for years, our favorite computers begin aging. Syncing the Syncable and filing the fileable becomes more and more tedious until eventually, we just have to break down and buy a new one. I hope you'll bear with me while I figure out which new buttons I'm supposed to push and which ones I'm not supposed to touch.